Below I made a short video demo of the resulting prototype. Six resistors – Four 10kΩ as pull-down for the buttons and two resistors for the LCD brightness. In my case the LCD resistors were 1kΩ with 4.7kΩ, with a different LCD and setup I used a 1.5kΩ resistor instead of the 4.7kΩ, it might depend on the LCD manufacturer and on the environment. Alternatively, a potentiometer can be used. For libraries installation please refer to Arduino’s official guide. EasyButton is helpful to read buttons and complete an automatic de-bounce. It is not strictly necessary as it is possible to read and de-bounce buttons manually, but it requires a bit more coding. 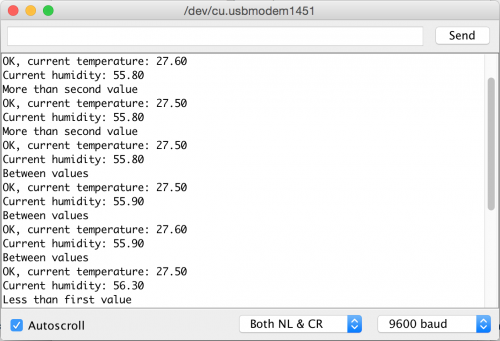 DHTlib helps reading the temperature and humidity values of the DHT22 sensor. Additionally we use the EEPROM library to store the thresholds into the Arduino’s EEPROM, so that even if the Arduino is powered off, the values can be re-loaded at boot. Finally we use the LiquidCrystal library to drive the LCD display. 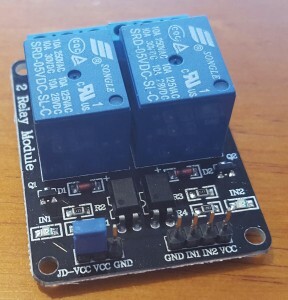 To build (and eventually modify the project) you would need to connect all the components according to the schema and load the code into the Arduino microcontroller. 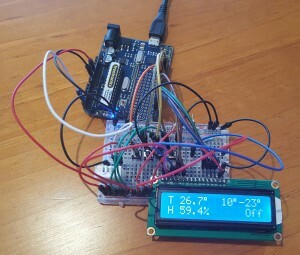 If no text is visible on your LCD display, you can connect a potentiometer to GND, LCD V0 (3rd pin of LCD) and Vcc, instead of the two fixed resistors of the schema, so that the screen brightness can be adjusted if/when needed. Thank you Mike for your feedback and kind words! It is awesome and rewarding to see that my project was useful to others too, and even better when for completely different purposes! My son was in a Digital Electronics class in high school this year. He used this as his Year end project and got an A. It is going to be used to cool an overclocked PS4 that gets hot regularly. Thank you for posting! I am really glad to hear that Jorge! You are welcome! Not a problem at all, I am glad you liked it! Personally I do not have direct experience with SHT sensors. From a quick reading it looks like you need 4 wires and you need to define the sensor variable, passing the data and clock pins. 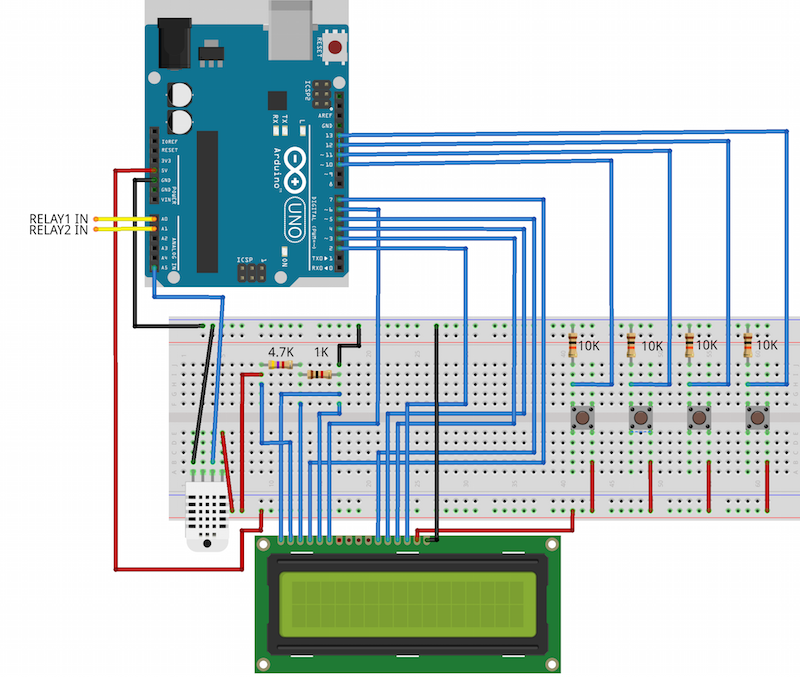 My suggestion is to get a simple example working with your sensor, verifying the readings by logging them on the Arduino console. Once you get that working, try to apply the changes to my code to get the full project working with a different sensor.